Celebrated wine scientist Dr Ray Beckwith OAM has died, aged 100. 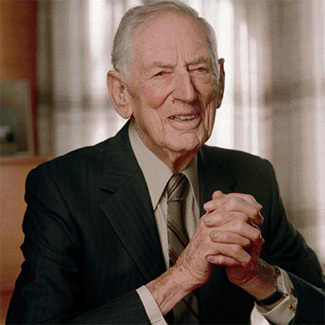 Born in Cowell, South Australia, in 1912, Dr Ray Beckwith was pioneer of the modern Australian wine industry, with a distinguished career spanning more than 40 years. Beckwith’s scientific research and discoveries laid the future course of modern winemaking in Australia, and around the world. After graduating from South Australia’s Roseworthy Agricultural College in 1932 with an honours diploma in agriculture (and oenology), Beckwith was invited back to take part in a yeast research project. A year later he joined Hardys at Mile End as a junior winemaker. However, in 1934 Leslie Penfold Hyland, a director of Penfolds Wines, read Beckwith’s published findings on fortified yeast strains and quickly offered him a job. Beckwith joined Penfolds in Nuriootpa, Barossa Valley in January 1935. While working as a scientist at Penfolds in 1936, Beckwith famously observed that, “pH may be a useful tool in the control of bacterial growth.” Just one of Beckwith’s many discoveries, he had found a method of stabilising wine by adjusting its acid balance. This breakthrough and other innovations paved the way for the fledgling Australian wine industry. Over several decades Beckwith developed winemaking techniques that are now standard practice throughout the world. Working closely with Penfolds chief winemaker, Max Schubert, many of Beckwith’s discoveries and inventions were veiled in secrecy at the time to boost the winery’s competitive advantage. Beckwith retired from Penfolds in 1973, but remained closely linked to the wine industry, particularly in his home region of the Barossa Valley. Beckwith was awarded the Australian Government’s Medal of the Order of Australia (OAM) in 2008. What a hero for South Australia. Almost totally unrecognized outside a handful of his peers. But truly a giant who created modern wine-making techniques that others exploited and enjoyed their almost referred success. Why not a state funeral? Great suggestion Ian. How would you get this idea to the State Gov?